In recent years, the Direct-to-Consumer (DTC) strategy has exploded in popularity within retail. 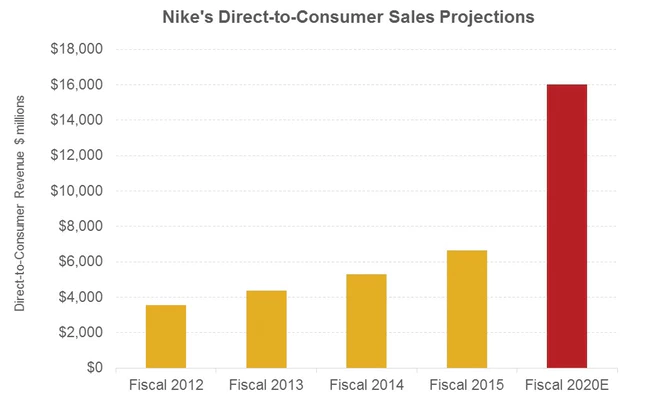 Nike surprised many when they revealed ground-breaking plans to drive their DTC sales by 250% and reach $16 trillion by 2020. This may initially seem like a staggering amount of growth for a retail manufacturer but DTC is a sales channel which is set to expand exponentially in the coming years. It constitutes a move away from the traditional supply chain where manufacturers would produce goods for brands which would then be trickled down the supply chain to be distributed in many different stores. The DTC strategy allows consumers to buy directly from the brand, either online or in-store. Visionary companies such as Tesla see the value of selling direct to consumers and have continued to roll out their own brick and mortar stores to support the strategy. They’re not alone, research shows that 48% of retailers are already investing and developing their DTC channels. It is well known that a protracted supply chain squeezes profit margins and delays the speed at which retail brands can get their goods to market. With rising labour costs associated with China’s textile market, retailers and manufacturers have been looking for innovative ways to increase profits. A DTC strategy allows retails brands to cut out the middleman and have full control of the customer journey. In many respects, the DTC strategy has been enabled by the rise of ecommerce as retailers can reach their customers and map the brand journey through a much more targeted approach. Start-ups and ecommerce brands have lead the way by illustrating how to succeed in a highly crowded and competitive market through DTC sales. Forbes has even reported that over a third of consumers have bought directly from a brand manufacturers website within the last year. 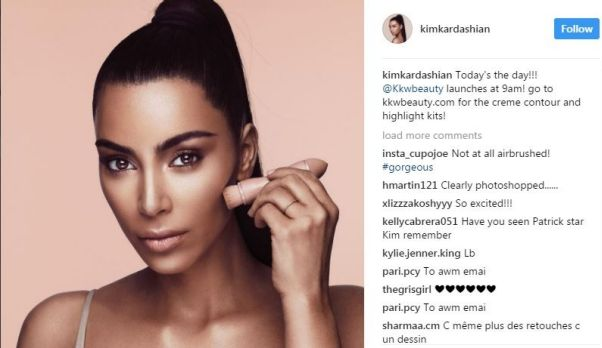 Kim Kardashian leveraged the power of DTC sales combined with the influence of her personal brand when she sold out her entire make-up range online - making her $14.4 million in 5 minutes. This is not to suggest that brick and mortar stores do not play a vital role in a DTC strategy. Physical stores become articulations of brand values and act as fulfilment centres that delight customers, creating a distinctive and compelling story for a brand. It’s important to recognise the essential role the last mile of delivery plays in the success of DTC sales. The speed of delivery is a facet of the customer journey that drives DTC conversions. Without it being guaranteed and swift, customers would never be willing to purchase directly from a brand. As discussed in our previous blogs, extending consumer convenience from the endless aisle to the last mile is fundamental for retailers. Research has suggested that ‘guaranteed delivery’, ‘speed of delivery’, ‘ease of access’ and ‘convenience’ are all key success factors. Optimising the supply chain and the distribution network is becoming increasingly important in the face of aggressive DTC sales growth. Ultimately, DTC strategies centre on changing values for the customer base. Instead of owning an extensive global brand presence, it’s about a lower customer concentration in targeted markets and enhanced revenue visibility. Increased customer data will allow retailers the opportunity to personalise the brand journey and go further in delighting their customers. The development of DTC strategies over the coming years will be an interesting space to watch as innovation optimises the supply chain and distribution network.